Ha Noi T&T have been drawn against Arbil SC of Iraq in the quarter-finals of this years AFC Cup. Arbil were AFC Cup runners-up in 2012 and four time quarter finalists. T&T will be at home in the 1st leg on 19th August, with the return fixture being played on 26th August. 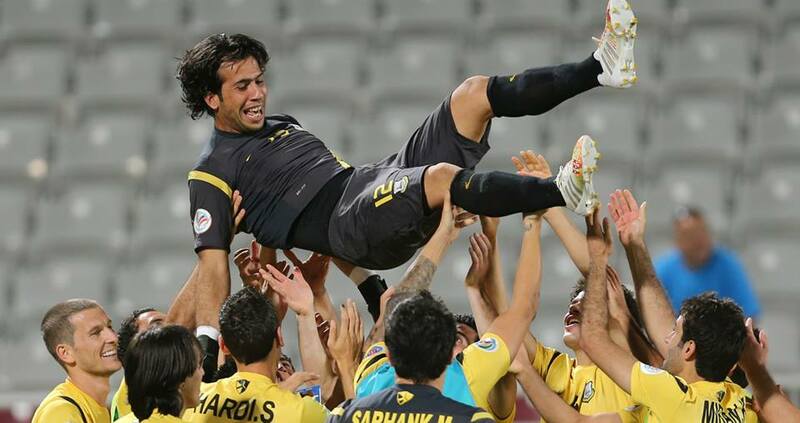 Arbil have been playing their AFC Cup ‘home’ fixtures in Doha, Qatar, this season. Arbil players seem delighted at the prospect of sampling some of Hanoi’s famous street foods. Vietnam’s other representative, Vissai Ninh Binh, who proudly boast the only unbeaten record in this year’s tournament have been drawn against Hong Kong’s Kitchee. I’m still bewildered that a club (Ninh Binh) whose players have been caught and arrested for match-fixing (in this year’s AFC Cup) and who have since withdrawn their membership from the domestic Vleague, are still able to compete in the Continental competition. Rumours here are even suggesting their ‘foreign’ stars (who were not involved in the scandal) will actually return to the club to compete in the remainder of the AFC Cup campaign, due to it coinciding with the end of the domestic campaign. The team only exists in the AFC Cup. The competition their players were caught cheating in. A rather bizarre situation. The final will be hosted by the winners of Semi-Final 1.